Many people often assume that staying in the capital city of the country that you are visiting narrows many of your options to the classic city tour, museums and downtown walks. Although visiting those popular and well known tours might sound a little boring and or too typical, they are indeed necessary as they are the key or the gate to the culture, the life and the mysteries of the country. 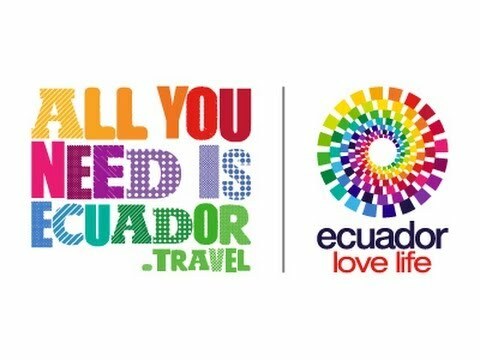 Unlike many big cities around the world where you need days to visit just a museum or a historical building, the advantage of the capital city of Ecuador, Quito is that since it is a relative small city, you can benefit from exploring more than just the hurried and commercial city life by visiting a complete different type of panorama; mountains, rainforest, lagoons and more. The advantage of Quito is that adventure is one step away! People who seek adventure or just something different than the usual to-do list, are always intrigued and impressed by the amount of places that can be visited in distances that do not surpass 3 hours which is in fact amazing considering the fact that you will visit places in the Andes and in the Amazon! Throughout this blog post, three amazing and friendly trips that will appeal to anyone who just wants to enjoy the destination that they are visiting to the fullest. What would you say if I tell you that you can visit the highest active volcano in the world in less than two hours? You probably might be a little skeptical at first and to be honest we cannot blame you. It is almost impossible to think that half of the population of an entire country has chosen to settle practically right next to a big and active volcano. It seems the first settlers in Quito did not think that decision through and hence, here we are and we could not be happier. Regardless of its active status, Cotopaxi has remained stable for more than 100 years and it is one of the most beautiful and quick day excursions from Quito. First of all, the average time from the downtown area of Quito to the refugee is of about 2 hours and a half which goes by in the blink of an eye because you the scenery even from the window of your car will blow your breath away. It is recommended for you to wake up very early if you want to enjoy the clear view of the Cordillera de los Andes. The scenery that can be seen during this time is breathtaking as you will observe more than 10 mountains and volcanoes aligned next to each other. 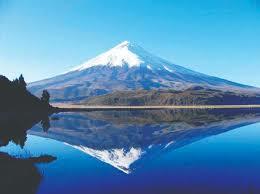 Apart from the view, Cotopaxi has wonderful and easy hiking trails suitable for all types of tastes and ages. Those who seek adventure, can try to climb up to the summit of the volcano. Of course we strongly advise you to prepare your body to the high altitude that might challenge some people! Regardless of your adventure level, this day trip is recommended to everyone starting from kids to our grandparents! Due to the altitude in which it is located, Quito may turn into a windy or cold city every now and then. This type of unpredictable yet at the same time balanced weather makes Quito the perfect city for many flowers and flora that make it such a colorful city. However for those who are seeking a little bit more of a natural and warmer environment, a day trip to Mindo is strongly recommended. Two hours and a half is all it takes to get to Mindo, a town located in a tropical environment surrounded by trees, species and incredible fauna. In comparison to Quito, Mindo’s weather made up of temperatures found within the 20-30 degrees range makes it the perfect home for many birds such as toucans, papagayos, hummingbirds and even more. 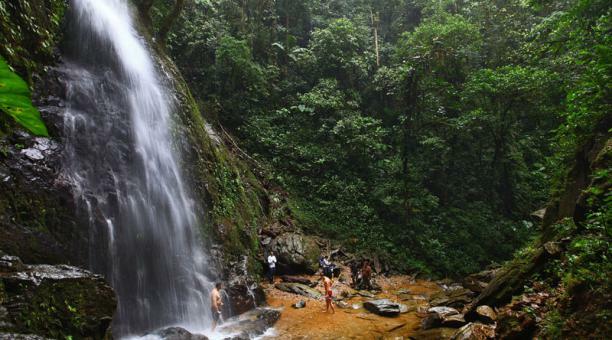 Mindo is in fact one of the top cities for birdwatchers to spot more than 50 species. Describing Quilotoa is one of the hardest yet best things that I have tried to do with someone. Has it ever happened to you that the more beautiful something is, the harder it is for you to put it in words? That is what happens to me right now. 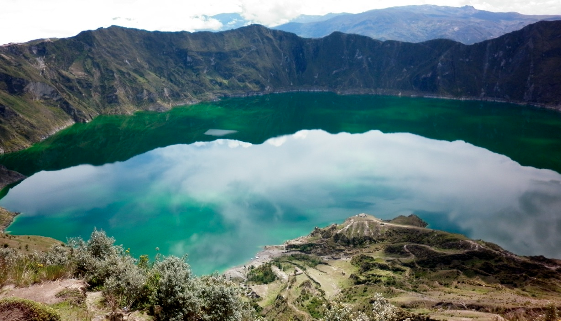 Quilotoa is a crater located 2 hours away from Quito and what makes it special is that this crater with an area of three square kilometres is full of crystal clear water. The colors that you can see in this water are out of this world, as they are as blue as cobalt. It is wonderful to witness in person the contrast between the highlands and the purity and magnitude of this crater lagoon. Those who feel like looking at the lagoon is not enough, there are many trails available to all types of travelers which makes it beautiful. The fact that the trails are not too challenging and very manageable allow this trip to be enjoyed by everyone. In addition if you feel like you would like to experience something more than just a hike, travelers can as well experience something more local by interacting with the indigenous communities that live near the crater and protect it. This is truly the type of memory that will stay in your mind and heart for ages as it is very different to experience something from the perspective of someone that cherishes the place rather than from the self-guided book.